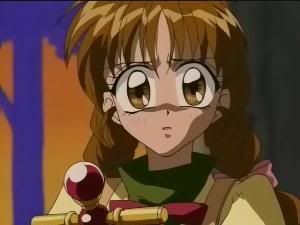 Updated 1/7/2013 In response, Maron stares back at Hijiri-sensei, her eyes glimmering as it hits home that he is fully aware that her alter ego is the magical girl Jeanne. 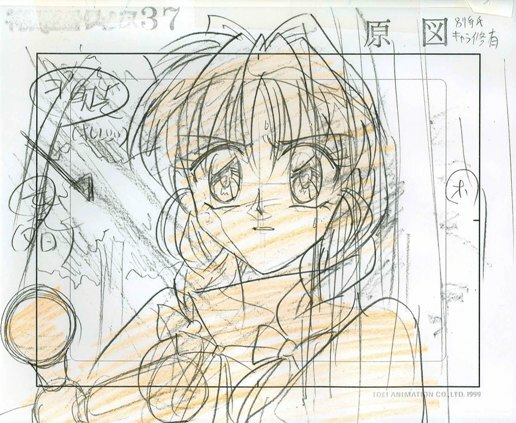 This genga nicely sums up the psychological torment that the job of saving the world as a magical girl now has become. 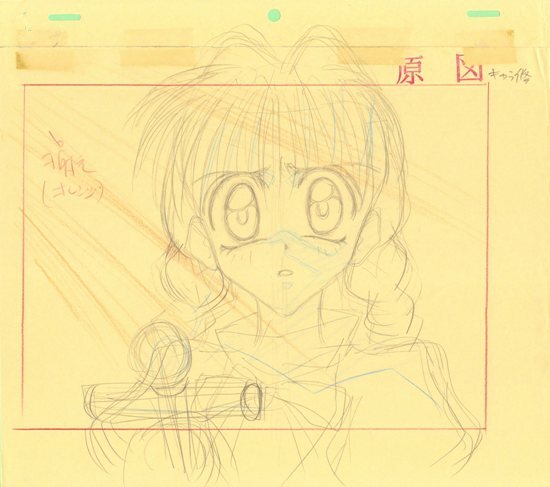 The thumbnails show the impressive rough by Yoshihiro Sugai (showing the light that rakes her face from the left) and the earlier version of the image from the copy layout.